Home extensions can be overwhelming. So many things have to be considered and getting the right advice early on is crucial if you want your project to have the most benefit for your day to day life. 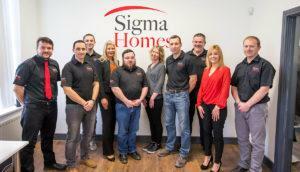 Luckily, Sigma Homes are here to help. Here are 2 more tips for building a house extension. Budget is one of the key components to any house extension. It determines what’s possible when it comes to revamping your home. The bigger the budget, the more freedom you will have, the smaller the budget the more creative you will have to be. At the start, you probably don’t have a clear indication as to what an extension is likely to cost. At this stage, you might not even have a clear idea about what it is you plan to do until you ask those vital questions and visit your architect to draw up plans to suit what your needs. Even after the plans are drawn up you might not know exactly how much it will cost you, but an experienced and reputable builder will be able to give you an accurate estimate. It’s important to know how much your willing to spend. Being forthright about your budget with your architect/design and build team from the beginning will give them a better understanding of what is achievable for you and what they can do to help get you as much as possible for your budget. You design to your budget, or you design to a wish-list. Unless money is no issue for you then you can’t do both, so your priorities will come into it. The main thing to identify is how much you are willing to spend and what are your priorities for the extension project. Finally having an additional house extension emergency fund is essential in case you encounter some things that haven’t been previously identified or you want to make changes to your plans on the fly that can’t be easily accommodated within your original budget. An excellent architect and building contractor is essential to creating a quality house extension. It is all about successfully getting your ideas and plans from inside your head into reality and the best way to do that effectively is to hire the best in the business. Do your research online, ask around and also talk to previous homeowners who have had work done. This will all give you a better indication as to who you should go with to turn your house into the home you’ve always wanted. An architect will steer and guide you through the planning process, you need expertly drawn plans for your builder to follow so having a great architect is a key component to a quality extension plan, if the builder and architect work together often that is even better. Your building contractor has to be able to execute those plans with precision. Make sure you do your homework and make the right decision on who you choose. 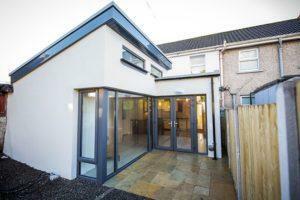 If you want to eliminate the stress of building a house extension and ensure the best outcome then be sure to clearly define your budget and use the best architect and building contractor for you. If you would like to learn more or to book a consultation then visit us online or contact us on 021-436-5866. Get more great tips for building a house extension.